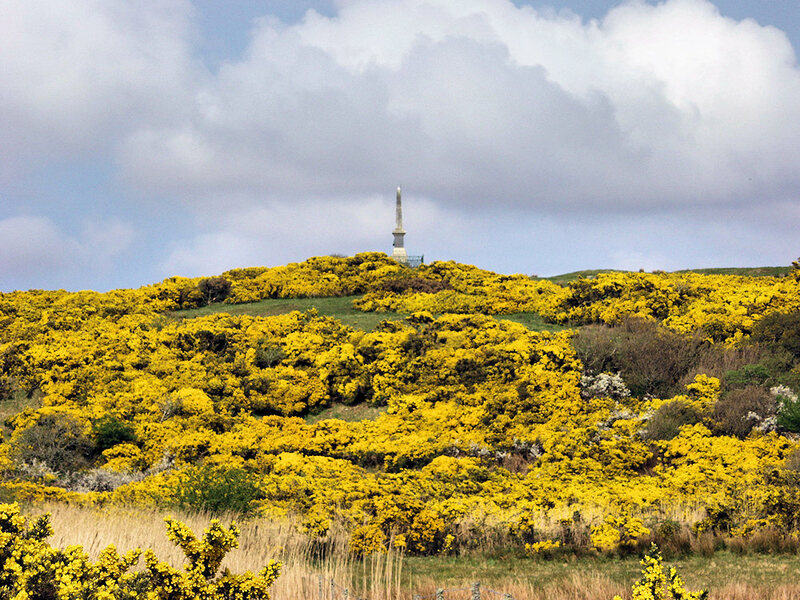 A colourful spring view from Islay a few years ago, gorse in bloom on the hillside below the Campbell monument near Bridgend. It has since been thinned out, but there’s still a lot of it around on Islay. This entry was posted in Cloudy Weather, Landscape, Repost, Sunny Weather and tagged Bridgend, Gorse, Islay, John Francis Campbell Monument by Armin Grewe. Bookmark the permalink.